Question: How long will it take before I notice improved gas mileage? Question: How Does GO-15-HF™ create Lower Emissions? Answer: The improvement in the Ring to Cylinder Wall Seal developed by GO-15-HF™ creates a Higher Combustion Efficiency resulting in Lower Emissions and Improved Mileage Performance. Question: I've tried other gas saving products but I never really knew if they worked. How does GO-15-HF™ compare to the competition? Answer: Companies such as Slick 50, Duralube, Prolong and others claim repeatedly that they will increase engine performance and reduce wear. The main problem is that almost all of these products could never consistently reproduce their claims. In fact, most have been fined by the Federal Trade Commission for deceptive, false and misleading advertising. 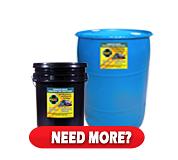 The large industrial and trucking concerns currently do not use anti-wear technologies because they have proven that none of these additives justify their cost of use based upon their own studies. The GO-15-HF™ formula changes the chemical composition of the metallic surfaces of the inner engine parts by using heat and friction to incorporate itself, ridding the surfaces of irregularities, microscopic pits and depressions. 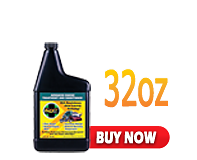 This reduces metal-to-metal friction, promoting increased efficiency while reducing wear. 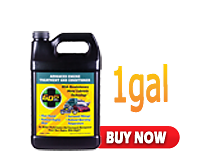 Question: Can GO-15-HF™ damage my engine? Answer: No. 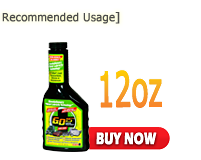 GO-15-HF™ has been formulated for the internal combustion engine. 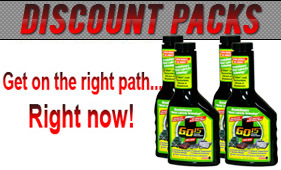 GO-15-HF™ is safe to use on any metal-to-metal friction boundary application and is compatible with all types engines (gas and diesel) and forms of lubrication oils, gear oils, compressor oils, hydraulic and differential fluids, manual transmissions, metal working fluids and greases. Question: If I am not satisfied, can I get my money back? Answer: Yes. If you are not completely satisfied with GO-15tm, return the bottle for a full refund - no questions asked. Refund is limited to actual cost at time of purchase. Return shipping is at the customers expense. All returns will be processed within 10 days of receipt and confirmation of return. 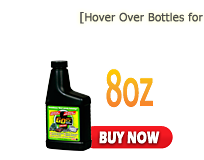 Customer must call to get an RMA to register the return, prior to shipping the empty bottle back for refund. click here for details. Question: There is so much information here, I'm a little confused. Exactly what will GO-15-HF™ do for me? Answer: It's simple. GO-15-HF™ may increase your fuel economy (fuel savings up to 15% or more), extend the life of your engine and at the same time lower emissions significantly. Remember, increased fuel economy in the 15% range and higher translates to an equal reduction in emissions as we drive 15% farther for the same amount of fuel burnt and pollutants generated. Question: Will using GO-15-HF™ void my warranty? Answer: No it will not. Congress passed the Magnuson-Moss Act. This is the actual language of the act: "No warrantor of a consumer product may condition his written or implied warranty of such product on the consumer's using, in connection with such product, any article or service (other than article or service provided without charge under the terms of the warranty) which is identified by brand, trade, or corporate name; except that the prohibition of this sub-section may be waived by the Commission if the warrantor satisfies the Commission that the warranted product will function properly only if the article or service so identified is used in connection with the warranted product, and the Commission finds that such a waiver is in the public interest. The district courts of the United States shall have jurisdiction of any action brought by the Attorney General (in his capacity as such), or by the Commission by any of its attorneys designated by it for such purpose, to restrain (A) any warrantor from making a deceptive warranty with respect to a consumer product, or (B) any person from failing to comply with any requirement imposed on such person or pursuant to this chapter or from violating any prohibition contained in this chapter." Question: Do you have an MSDS for review? Answer: Yes, please click here to view it.